Magic, Pet Plan Care Cat Case Study. 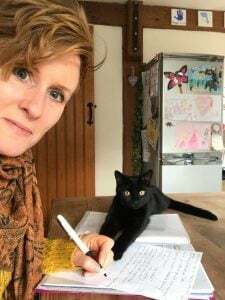 Sarah grew up with dogs in her family, so when she was called to get a black cat for her son, she asked me, as an animal communicator, to help with her new kitten Magic. 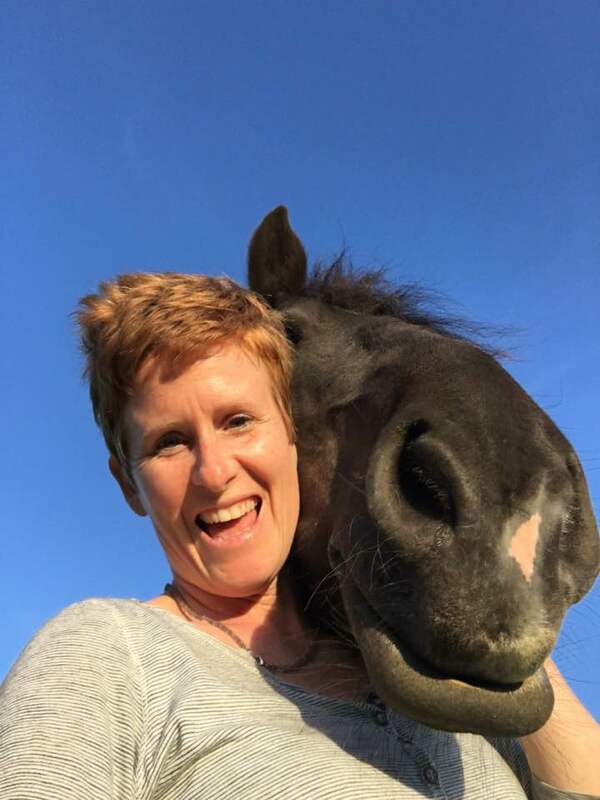 Sarah wanted to give Magic the best care possible with holistic animal care and natural wellness and to feel confident that she would be taking care of his needs to the best of her ability. Sarah really wanted peace of mind that she could enjoy her time spent with Magic and cultivate a truly strong bond between them. 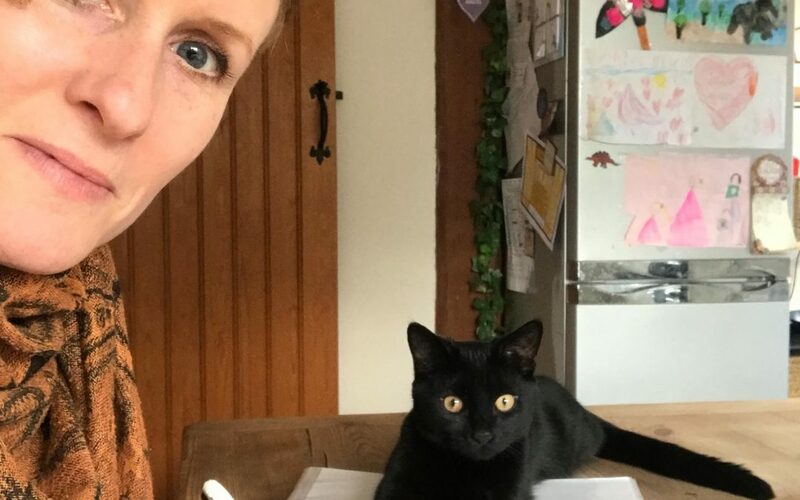 We agreed the Pet Plan Care Cat package would be the best way to achieve Sarah’s goals. During the year of Pet Plan Care for Magic I visited and connected with Magic six times in total. When we first met I did an initial consultation to find out exactly what would be right for Magic according to him. We looked at animal communication, nutrition, energy work, colour therapy, crystal therapy, homoeopathy, massage, laser therapy, acupuncture, chiropractic work, and training and which if these that Magic may require. 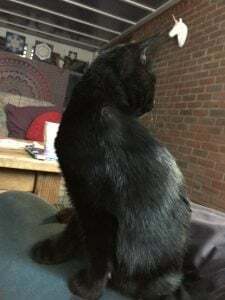 Magic had four priorities for us to work on with him and they were: animal communication, natural wellness, massage, and training for the people he resides with, after all, he is a cat and he is perfect! When I first connected with Magic I was struck with how young his soul is and that he had been here before. He was a galactic being, fun loving, strong and secure. He demonstrated this by being very confident. These are the main questions that Sarah wanted to know the answers to, to create peace of mind and alleviate the worry that she was doing it right, looking after him as best as possible. Is there anything that you need? Would you like an animal friend? I also asked Magic a lot of questions what his favourite food, favourite place to sleep and favourite thing to do were. Magic went on to tell me he loved laying in ‘mum’s (Sarah) arms, playing spider-watch, going outside, and eating nice crunchy biscuits, he also said he liked cheese and chicken. I asked deeper questions such as what he liked most about his life what his role in life is. I asked him questions about relationships, how we can better understand him, who his favourite people are and about past lives. He talked about loving his new family and is here to teach, love, and trust. He loves the children and called them Angels: he went on to say that while they get it they have still got a lot to learn. We explored questions about Sarah from Magic’s perspective, behavioural questions like why does he go on the table? He asked for his parameters to be explained and his expectations to be outlined. Magic didn’t want to cause trouble in the home and didn’t understand where he couldn’t go. Magic said that Sarah talking to him would help provide this clarity. Magics’ Lessons for his human friends. One of Magic’s first lessons was about teaching the children how to read his body language. Magic didn’t want to get cross with them because he knows that the children mean well. On the next visit we looked at Magics’ nutrition. Good nutrition is essential for long-term natural wellness, health and happiness in humans as much as it is in animals. I always take a holistic approach to animal care. Magic insisted that his current food is the very best for him. When we used to muscle testing to look at foods suitable for Magic it became clear that the grain free diet would suit him better. He said, ‘I’m not to eat bison or venison’, all other proteins tested for strong change indicating that they would be suitable for him. A few more questions for Magic the cat. She explained to Magic that she would be going away and wanted to know if he understood? To explain that Bill was coming in to feed him and wanted to know how he felt about that? Sarah wanted to know about how she could help train him to walk on harness, if it was even a possibility? What his favourite thing to play with? What he thinks of biting Angels legs? When he said he is ‘playing’, she asked how he could do that differently? Explained not to bring in dead or living ‘presents’ for her? 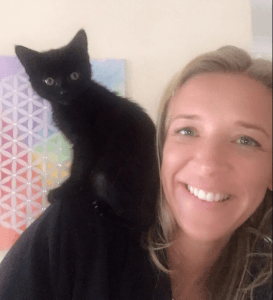 This session was helpful for Sarah as it opened the communication between her and Magic, who had formed a beautiful bond and gave her feedback as a new cat mum, so that she could feel confident and happy in her care giving. More Pet Plan Care Visits. In the next session Magic had been recently neutered. Sarah wanted to check how he was doing and what he needed to support him with his recovery. Magic muscle tested for a pro biotic, a bach-flower remedy, and lots of love. We talked to him about going out, how he was adjusting to his bell, and how much he loved massage. We also discussed the things he wanted with the children and we had a chat about body language with cats and how cats will tell us when they want to interact and when they don’t. There was one session that I had with Magic where he wasn’t particularly chatty and went out. 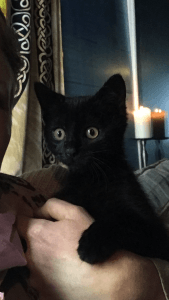 As Sarah and I chatted, it became evident that she was starting to feel much more confident, relaxed, and happy about reading his body language, communication and providing the very best of animal care to her new kitten. She recognised her children adjusting to playing with a cat and about doing the right thing for Magic too. It was so good to see them all bonding and learning about one another. My final session with Magic went well. Magic said he been waiting for me to arrive and that he was happy, and he wanted to build up a bit. He also explained that he only needed oily fish or chicken wings, which to me just shows that animals know what they need. He went on to explain that he didn’t mean to upset Sarah with his presence that he felt sad ‘did I upset her’ and asked for her not to be upset by him. He could see how happy the children were, that they were gaining strength and adored family time together. What was really magical about what Magic had to say was that Sarah had just started taking the children to karate or jujitsu three times a week, I loved his observations and feedback on his new family. If you are considering a kitten or a cat, do go and look at shelters and rescues nearby to you. There are so many unwanted cats and kittens here in the UK that you have a lot of choice. If you haven’t opened your home and heart to a cat before, don’t let your inexperience hold you back. With the right preparation for you and the cat, you can both have a happy life together. Even an old Cat can bring an inordinate amount of joy, love, and happiness into a home so don’t discount them either. 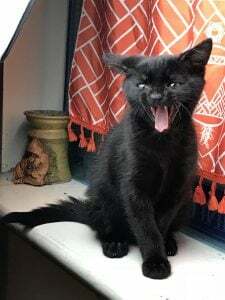 If you have had a cat before and are looking for a kitten, look on the free listings on gumtree on Facebook and rescue places online as there are often lots available. If you buy kitten from a breeder or home please make sure you see them with their mother cat and don’t bring one home until 8-10 weeks old, a reputable home or establishment won’t let you take one before then. Sarah’s Pet Plan Care Testimony. I have been part of Ruth’s pet care plan with my adorable cat Magic since he was a kitten. I loved how I was able to communicate with him and find out answers to things that he needed to best support him over the year as he grew and changed. I felt a strong connection with him from past lives, which was confirmed, plus lots of lovely things about him, why he was here and what he thought of us (myself & children) which was amazing. 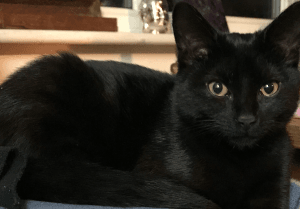 If you are curious about learning more and providing the very best of care for your new cat, a resuce cat or any other animal into your home then please do get in touch with me here. Hello and welcome! I am Ruthy Doolittle, Animal Communicator and Transformational Energy Mentor. They may say never work with animals or children, but I work with both – and I love it! Join Ruthy Doolittle’s monthly newsletter. I will send emails on a monthly basis and hope that you find them informative and enlightening. I promise to keep your data secure and only send emails about events, workshops and insights into my work.